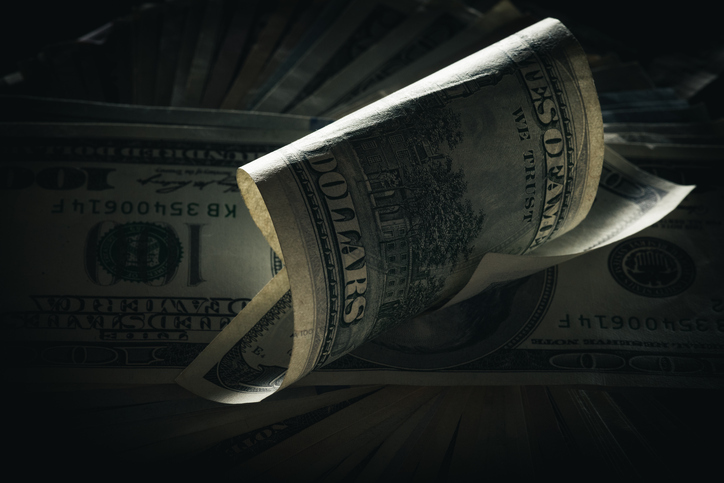 With the release of the new and acclaimed documentary Dark Money in limited theaters nationwide, a little-known campaign finance case from Montana has been thrust into the national spotlight. In 2010, voters in Bozeman, Montana elected attorney Art Wittich to the Montana State Legislature. Four years later, the state filed a lawsuit alleging that Wittich had accepted unreported funds for his 2010 campaign from the political organization Right to Work. The painstaking progress of the lawsuit, and Wittich’s eventual conviction in 2016, unfold as high drama in Dark Money, which highlights the small-town scandal as indicative of a sinister, nationwide effort to sway politics with obscure – and often legally dubious – funds. In the wake of the film’s release, we were fortunate to have the opportunity to interview Gene Jarussi, special attorney general in the Wittich trial. A practicing attorney during his professional career in Montana, Gene came out of retirement to work pro bono on the case in April 2015 at the request of Jonathan Motl, then Montana Commissioner of Political Practices. The retired Jarussi joined the case primarily out of a sense of duty. He had spent his entire career in the courtroom, based primarily in Billings, Montana, litigating both state and federal cases. The opportunity to help take down a corrupt politician evidently called louder than Jarussi’s retirement alternative: coaching youth baseball. Five attorneys clocked over 1,500 hours on the case over the next year. Jarussi recalls the all-consuming nature of the work. It gobbled up Thanksgiving. Devoured Christmas. Downed a vacation in San Diego. His expenses were paid, though the pro bono nature of the offer from Motl precluded any semblance of a paid salary. That hard work proved crucial. The three-day trial, which began on March 28, 2016, pivoted on the hard-earned testimony of former Right to Work employee Sarah Arnold. Illuminating in detail the organization’s robust operation to boost political campaigns, Arnold went on record to cast doubt that Wittich had no knowledge of the organization’s assistance to his campaign. On April 1, the jury convicted Wittich and ordered him to pay a $84,000 fine. After losing his appeal of the case to the Montana Supreme Court the following August, Wittich, who was then no longer serving in the state legislature, was left to face the consequences. In total, Jarussi recalls, the case took just over two years to complete. Wittich’s case, though a victory, pales against the backdrop of the wider problem. Since the 2010 U.S. Supreme Court Case Citizens United vs. Federal Elections Commission, campaign finance has mushroomed into a behemoth operating largely in the shadows. In the wake of that case, Jarussi recognizes that the battle against campaign finance will have to be waged at the local and state level. To Jarussi’s knowledge, Montana is the only state with an officer like Motl, a Commissioner of Political Practices, who is empowered to receive, investigate, and render decisions on complaints of misbehavior by elected officials or candidates. At the time, Montana was also one of few states with a law, the Corrupt Practices Act, barring corporations from contributing to political campaigns. That longstanding law stemmed from a 1912 case involving the Anaconda Copper Company and its attempts to purchase the loyalty of local politicians for its own financial gain. Since Wittich’s case, however, the politicization of campaign finance has rendered the fight more difficult. In 2012 the U.S. Supreme Court struck down the Montana Corrupt Practices Act in light of Citizens United. Wittich was convicted on two counts: failing to disclose $19,599 in campaign donations in 2010, and the fact that these donations themselves were illegal under the Corrupt Practices Act. Failing to disclose funds is still illegal, and Jarussi was able to prosecute Wittich on the second charge due to the fact that the illicit contributions occurred during a 2010 campaign – before the Court’s 2012 decision. But due to that decision, others cannot replicate Jarussi’s victory for post-2012 donations. And the problem is likely growing worse. During the trial, detractors accosted Jarussi as a “tool” of the liberal agenda erroneously targeting Wittich, who ran as a Republican. Years later, a man named Jake Eaton filed a complaint alleging that Jarussi committed the same campaign violations he had become famous for prosecuting. The complaint was summarily dismissed. Recently, the Trump administration added an additional and significant hurdle to the fight against secretive campaign funds, eliminating a rule that required some tax-exempt organizations to disclose the names of their financial contributors to the IRS. All of this renders Dark Money and the story of Gene Jarussi and Art Wittich especially relevant. With the pending nomination of Judge Brett Kavanaugh to the U.S. Supreme Court, the future of campaign finance law hangs in the balance. Educating voters about the dark underbelly of political contributions, and empowering attorneys to fight it, has become a national imperative.